Plan a family vacation to the American Southwest where you can admire beautiful scenery and check into a relaxing resort. 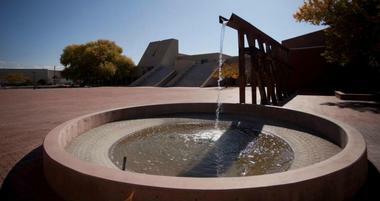 The Indian Pueblo Cultural Center in Albuquerque, New Mexico seeks to preserve and perpetuate Pueblo Culture. 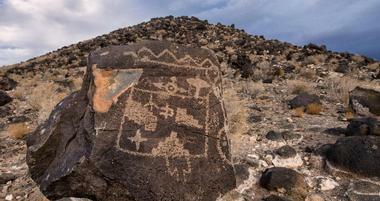 Petroglyph National Monument is a day use public park in New Mexico that allows for hiking in the canyons and Volcanoes Day Use Area. The Hispanic Cultural Center in Albuquerque, New Mexico seeks to preserve the legacy and history of Hispanic cultures and humanities. 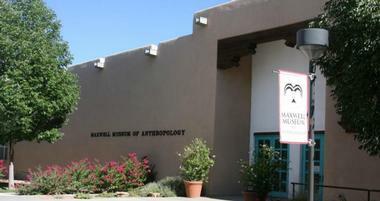 The Maxwell Museum of Anthropology at the University of New Mexico is the oldest public museum in the area. The city of Santa Fe in New Mexico isn’t just breathtaking, it’s also truly exciting. Art lovers will enjoy over the beautiful collection at Canyon Road Arts, which features an array of artistic genres including abstract and figurative works as well as Native American crafts. Meanwhile, the oldest museum in the state, the New Mexico Museum of Art, is home to over 20,000 traditional, contemporary and regional pieces alongside art created over the last hundred years by members of the Santa Fe colonies. Learn about the Navajo Indians and other Southwestern tribes while celebrating their culture and artwork at the Wheelwright Museum of the American Indian. For visitors lucky enough to be heading to Santa Fe in July, Museum Hills hosts the Annual International Folk Market, which plays host to over 150 artists from 50 countries in the largest exhibition and art sale in the world. Of course, if you’ve got your heart set on Native American art in particular, there’s no better place to visit than the Santa Fe Indian Market. To enjoy a relaxing experience in Santa Fe, sit back and take in the lovely New Mexican night sky and participate in star-spotting with professional guides at Astronomy Adventures. Adventure seekers and travelers eager to explore the picturesque landscape and scenery of eastern Utah should start their journey at the city of Moab. Experience the best vistas and colors at the Canyonlands National Park or see the beauty of the Colorado River landscape at the Dead Horse Point State Park. Hike around the stunning Corona Arch, a natural sandstone structure nestled in a canyon side of the Colorado River, and navigate the 1.5 miles of the Corona Arch Trail. Did somebody say Jurassic Park? Be transported to the land of the dinosaurs at the Moab Giants Dinosaur Park and discover the bones, fossils and life size replicas of these fearsome and majestic animals. Some of Moab’s most beautiful natural wonders can be found in the Canyonlands National Park. One of the must-see areas of this park are the Needles - eroded sandstone pillars that rise vertically from the ground with ancient Native American ruins scattered around them. For an in depth and unique look at the city’s geology, visit the Museum of Moab where dinosaur artifacts, mining exhibits and various workshops can be seen or attended. Thrill seekers looking to get their fix should head to the Red River Adventures to take a full day tour of the Fish Towers River from the inside of a raft or on the cliffs of the mountains. With a vast expanse of desert land and magnificent landscapes to discover, the fun and diverse city of Albuquerque certainly makes for a great vacation for families, couples and friends alike. Pay a visit to one of the Southwest’s leading institutions for history, culture and art at the Albuquerque Museum of Art and History and celebrate the fantastic heritage of the city. If you’re into hot air balloons, head to the Anderson-Abruzzo International Balloon Museum to learn about the famed ocean and continent crossings of Ben Abruzzo and Maxie Anderson. This unique museum visit also includes high-flying interactive exhibits. Ready to step back in time? Head to the Albuquerque Old Town and discover the historic district in the city, which is home to some iconic buildings such as the San Felipe de Neri Church from 1793 and the Central Plaza. To tour the majesty of Albuquerque’s mountain ranges, soar high above the Sandia Mountains on the longest aerial tram ride in North America, the Sandia Peak Aerial Tramway. 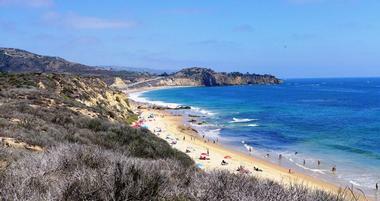 Better yet, explore the Albert G. Simms Park with a challenging hike or bike ride. At the family-friendly Elena Gallegos Open Space, on the other hand, visitors can enjoy a relaxing afternoon picnic or barbecue. Don’t forget to enjoy a hilarious fully staged production at the 85 year old Albuquerque Little Theater while you’re at it. Take in the best mountain sceneries and red rock landscapes that North America has to offer in Colorado Springs. A truly memorable and awe-inspiring location, the Garden of the Gods Park is home to a lovely terrain known across the country for its massive rock formations and enjoyable trails. Visitors can also climb, hike and navigate their way to the 14,115 foot high Pikes Peak within the Rocky Mountains. To try your hand at mountain climbing and bouldering, pay a visit to the Front Range Climbing Company, which often conducts introductory climbs at various locations such as the North Cheyenne and Red Rock Canyons. Other climbing excursions can be attended at the First Ascent Mountain School and the Pikes Peak Alpine School. Make sure to visit the only mountainside zoo in the country, the Cheyenne Mountain Zoo, to see over 950 animals from within a 140 acre complex at 6,800 feet above sea level. Looking for a taste of history? Head to the Glen Eyrie Castle to see the former home of Colorado Springs’ founder, General William Jackson Palmer. Not to be missed is one of Colorado state’s most exciting and popular tourist destinations, the United States Air Force Academy. More Colorado vacation ideas. An inspiring city with a strong and deep rooted heritage in ancient nomadic tribes, Taos is an excellent vacation destination in New Mexico. One of the best ways to get to know the city is by visiting the Native American community of Taos Pueblo. Having been around for over 1,000 years, the community has been designated a UNESCO World Heritage site and a National Historical Landmark. It was also thought to be the fabled city of gold when it was visited by the Spanish in 1540. Relax at the 300 year old center of Taos and enjoy the shade of magnificent trees or people watch at the Taos Plaza and the Taos Historic District. Taos’ traditional Spanish colonial architecture and some of the period’s artifacts are preserved and can be admired at the Kit Carson Home and Museum. It goes without saying that a trip to Taos is not complete without visiting what is arguably the most incredible steel bridge in America, the 1,280-foot-long Rio Grande Gorge Bridge. Avid skiers will have the time of their lives at the various stunning multi-level trails of the Taos Ski Valley while nature lovers and people interested in sustainable living can explore its life changing possibilities at the Earthship Biotecture World Headquarters and Visitor Center. Discover the fun-filled attractions and relaxing destinations of Scottsdale in the desert state of Arizona. Venture into one of the earth’s most diverse environments at the McDowell Sonoran Preserve and navigate over 100 miles of trails that promise exquisite views. The preserve is also a fantastic place to go mountain biking and to experience an unobstructed view of the night sky. On the other hand, at the Scottsdale Xeriscape Garden at Chaparral, guests can admire over 7,000 plants and learn about the sustainable landscaping practices of the garden. Travel to the center of the Salt River Pima-Maricopa Indian Community to discover a tropical rainforest filled with thousands of colorful butterflies. Guests can take a walk on the wild side of the animal kingdom and see black bears, jaguars, mountain lions and even Mexican grey wolves at the Southwest Wildlife Conservation Center. Meanwhile, the historic side of town is waiting to be discovered at Downtown Scottsdale, where shopping, food and entertainment are plentiful. For those who prefer museum trips, explore the nine to twelve annual rotating exhibits at the Scottsdale Museum of Contemporary Art and view an impressive collection of architecture, design and contemporary art from around the globe. Enjoy an action packed vacation filled with local favorite activities and must-see tourist hotspots at Utah’s Salt Lake City. Arguably one of the city’s most premiere attractions is Utah’s Hogle Zoo, a huge wildlife complex stretching across the base of the Wasatch Mountain Range. Here, visitors can take part in elephant encounters, see white rhinos and spot snow leopards or Amur tigers. For guests who find animals of the winged variety more appealing, the Tracy Aviary will be a sure hit thanks to the 400 birds that call the aviary home. Relish in the beautiful colors of nature at the Red Butte Garden where several miles of trails stretch across 100 acres of manicured greenery for a scenic jog or walk. Scientifically inquisitive travelers can learn about black holes, astronauts and even space travel at the interactive exhibits and multi-dimensional complex grounds of the Clark Planetarium. Meanwhile, at the Natural History Museum of Utah, visitors can get in depth knowledge about Utah’s particular geography along with information about its native cultures and earth sciences. Looking for a tour to join? Salt Lake Trolley Tours, a local favorite, offers a slow paced and unique opportunity to tour the city. The trolley stops at some of the best sights the city has to offer including the State Capitol Building and Temple Square. From the amazing scenery of the Sonoran Desert to the unique activities and destinations around the city, Tucson, Arizona, is proving to be one of the most popular vacation spots in the Southwest. Museums don’t always have to be housed in buildings, and this is particularly true for the Arizona-Sonora Desert Museum. The museum features 230 kinds of animals, 1,200 species of plants and 98 acres of Sonoran Desert ripe for exploration. However, when it comes to discovering the true symbol of the American West, the saguaro cactus, there’s no better place to head to than the fiercely protected lands of the Saguaro National Park. Equestrians and Western fans alike will enjoy a visit to the White Stallion Ranch, a traditional dude ranch with recreational activities, riding lessons and more. Travelers who are more into museums also have a diverse selection of establishments to pick from. For example, the University of Arizona Museum of Art is a respected institution featuring a collection of paintings dating back to the Renaissance period. A melting pot of the Southwest’s interesting cultures, the Arizona State Museum is home to an impressive permanent collection of works as well. One of their most significant collections includes 25,000 woven baskets made by Southwest Native Americans. Famous for its breathtaking desert scenery, Phoenix, Arizona, will fill any vacation with excitement, wonder and jaw dropping views at any time of the year. A favorite modern art institution in the United States and the Southwest’s largest art museum today, the Phoenix Art Museum features a diverse collection of art that spans different genres. At the Heard Museum, on the other hand, visitors can gain a greater understanding of the Southwest indigenous cultures through world class exhibits and unrivaled collections. In Phoenix, people can also discover the innovations of the scientific community and enjoy thousands of square feet of interactive galleries like the Dorrance Planetarium at the Arizona Science Center. Hear the roar of the Sumatran tigers or watch fun-loving and majestic Asian elephants interact with one another at the largest privately owned zoo in the country, the Phoenix Zoo. Foodie at heart? Why not eat your way through Phoenix with Taste It Tours where the city’s best restaurants and culinary favorites take center stage. Don’t forget to stop by Arizona’s largest performing arts organization, the Phoenix Symphony, to catch a performance of its full-time symphony orchestra. Soak up some history, Native American culture and great scenery as well at the Pueblo Grade Museum and Archaeological Park and the Camelback Mountain. 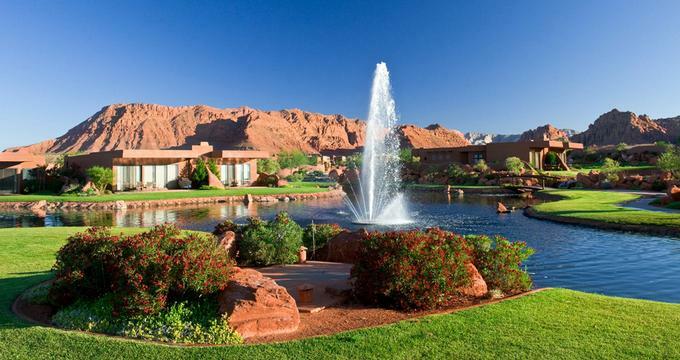 Get to know the people and culture of Mesa in the exciting state of Arizona. Enjoy the best of the city’s performing and visual arts and catch entertaining Broadway performances at the largest art complex in the city, the Mesa Arts Center. Built in 1913, the Mesa Historical Museum is a school-turned-museum that now contains galleries depicting the city’s history. 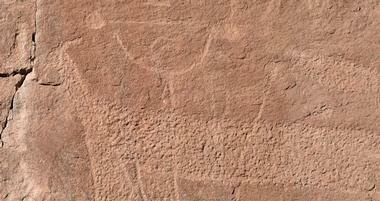 Another museum in the city that deserves a visit is the Arizona Museum of National History. This museum offers in depth looks into the history, culture and habitat of the country’s Southwestern states and includes 60,000 anthropological pieces to admire. Who says roses won’t bloom in the desert? Discover a beautiful variety of roses at the largest rose garden in the Southwest, the Rose Garden at Mesa Community College. Visitors who love sports can catch an energetic game of baseball at Dwight W. Patterson Field, formerly Hohokam Stadium. Nature lovers can go camping, mountain biking or hiking at the 3,648 acre Usery Mountain Regional Park, which also boasts up to 73 different camp sites and camping utilities. Alternatively, take a guided tour of the Saguaro Lake on the air-conditioned Desert Belle ship to experience the terrific views of Arizona’s high canyon walls and desert landscape.